The company, located in Chatham, Ontario (Canada), puts much care and effort in growing the best produce possible. To keep going, they need machinery that suits their demanding business. 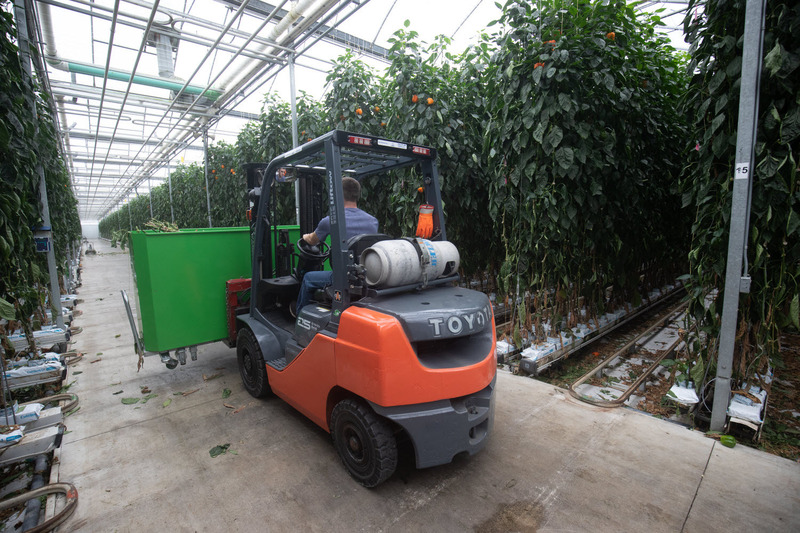 According to Brad Vanderende, Operations and Purchasing Manager at Greenhill Produce, working in a greenhouse environment poses some significant challenges for the forklifts moving the produce, and therefore, the tires on which they run. Because the forklifts are used to move around in a timely fashion, having them be reliable is almost as important as making sure the bell peppers grow. One of the main challenges the company faces is making sure the forklifts don’t lose any efficiency as they go from rolling on concrete to travelling on gravel at full speed to picking produce inside and to moving them outside. Not only are the forklifts moving from one surface to the next, they also do it over relatively long distances with lots of loading and unloading. One thing you can be sure of when it comes to greenhouses, it’s that the facility’s temperature can go from warm to hot throughout the whole year; and because Greenhill Produce are located in Canada, they witness a whole array of seasonal extremes. So, during winter, the forklift tires are subjected to hot temperatures inside—and freezing outside. Add to that speed and distance, their operations generate tremendous heat within the tires. Over time, this heat build-up caused premature tire failure in the form of separation. At Greenhill Produce, no downtime is allowed, as the fresh produce has to be shipped as quickly as possible to prevent any spoilage. Time is money… and so is freshness! The company’s success depends on their tires being able to perform at the intensity level demanded by their business. They were thus looking with their local tire dealer for a solution that would ensure reliability and performance and solve the premature tire failure issues. The Solideal RES 550 tire manufactured by Camso turns out to be the tire of choice for the intensity of its application. Its wide profile and flat footprint increase stability and grip allows for improved operator comfort on rough, uneven surfaces. Its cool running rubber compounds keep energy consumption low. 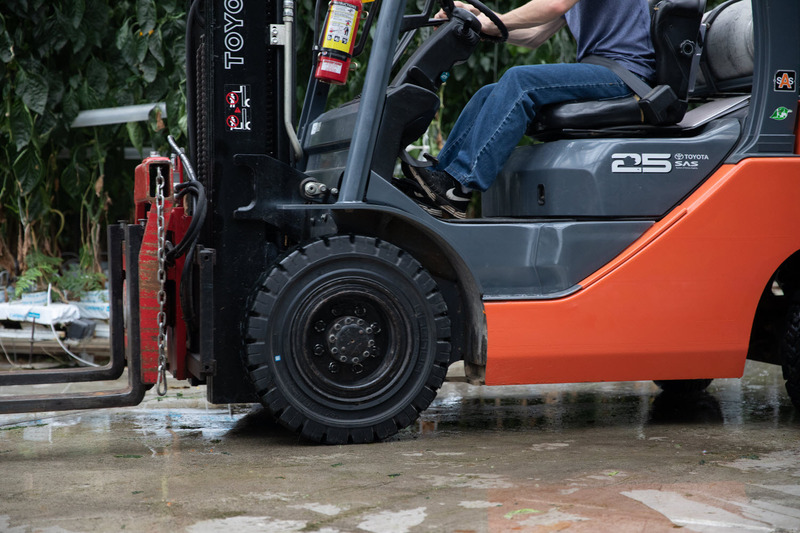 Additionally, the RES 550 works really well outdoors, especially under wet conditions, where having great traction is a must-have thanks to the large tread blocks and deep lugs. For Greenhill Produce, changing to the Solideal RES 550 means a chance to be among the cream of the crop.